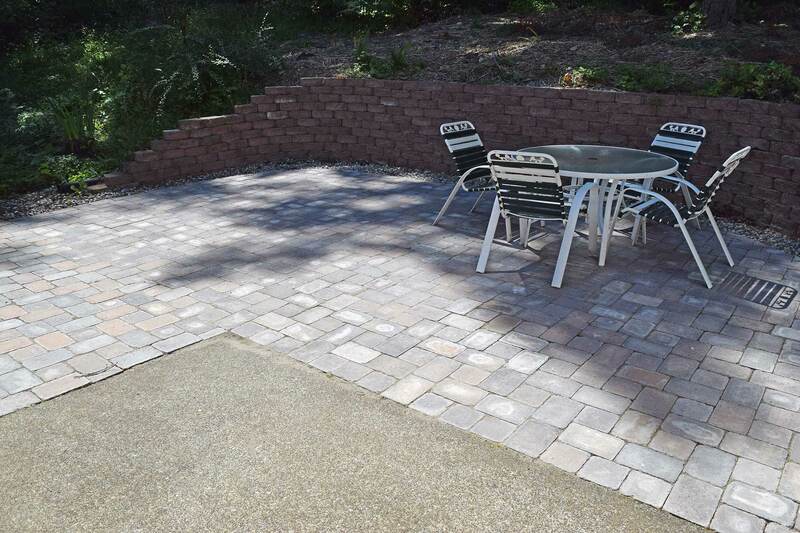 The paver patio extension provdes a safe haven for Pam Hofmeister to enjoy the outdoors and for her grandson to play. Click the photo to see a larger view. 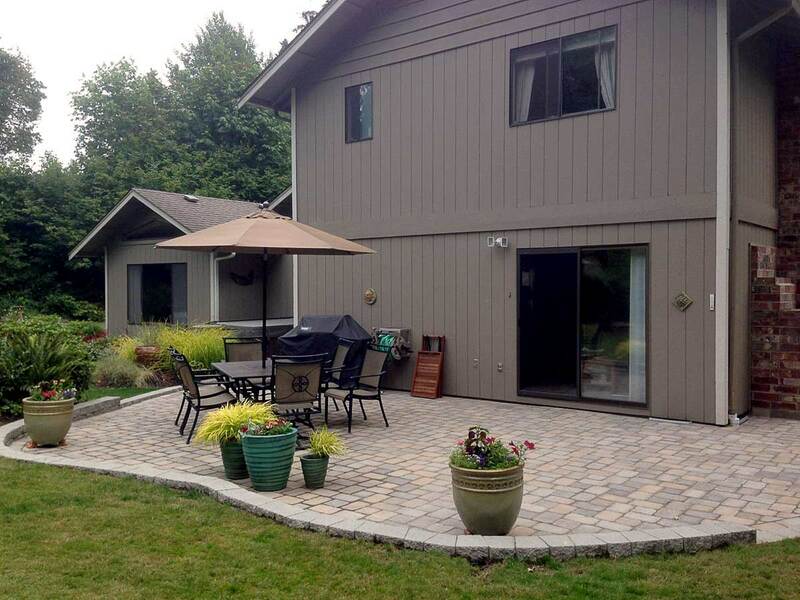 Roca style tumbled paver patio brings new life to this Lacey rambler's backyard. Point to the picture to see how it looked before. 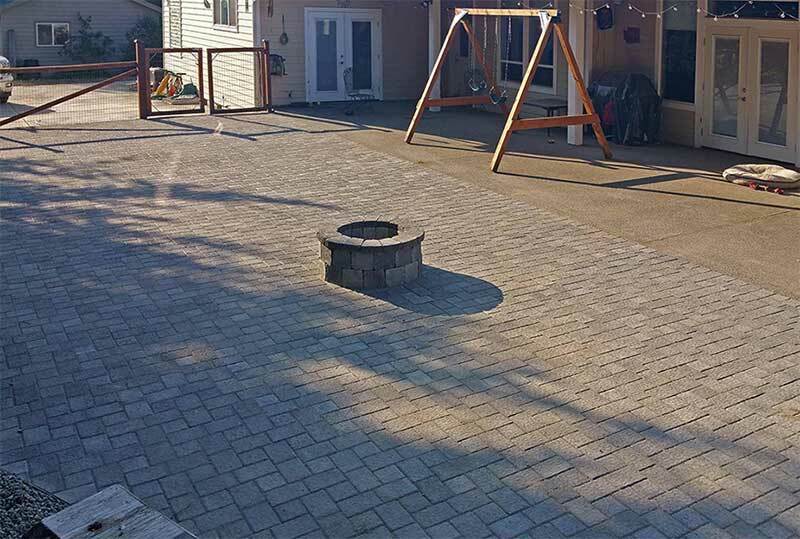 Backyard paver patio connected to a concrete slab basketball court. 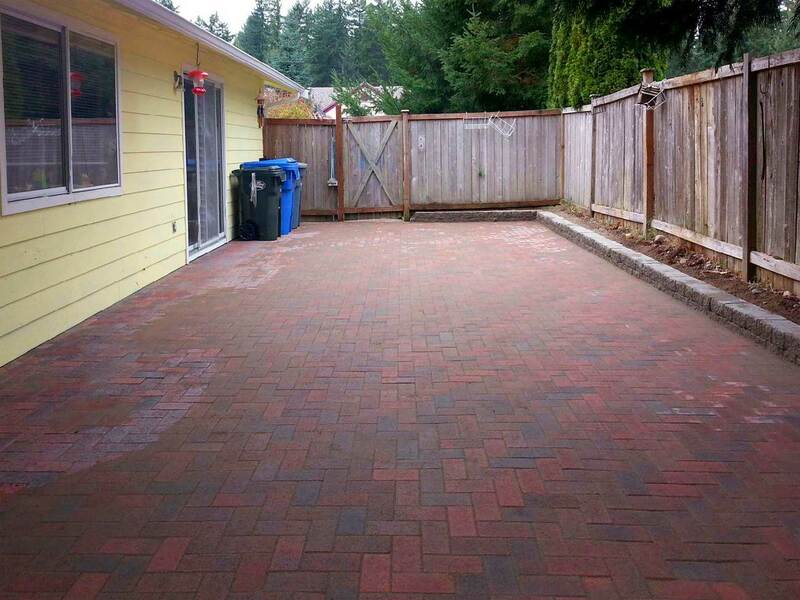 Point to the photo to see the backyard before the transformation. 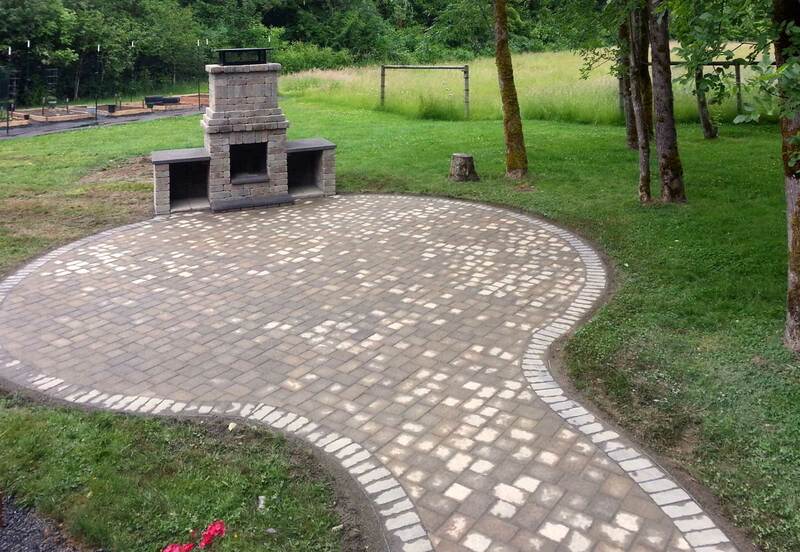 Firepit with matching paver patio and connecting pathway. 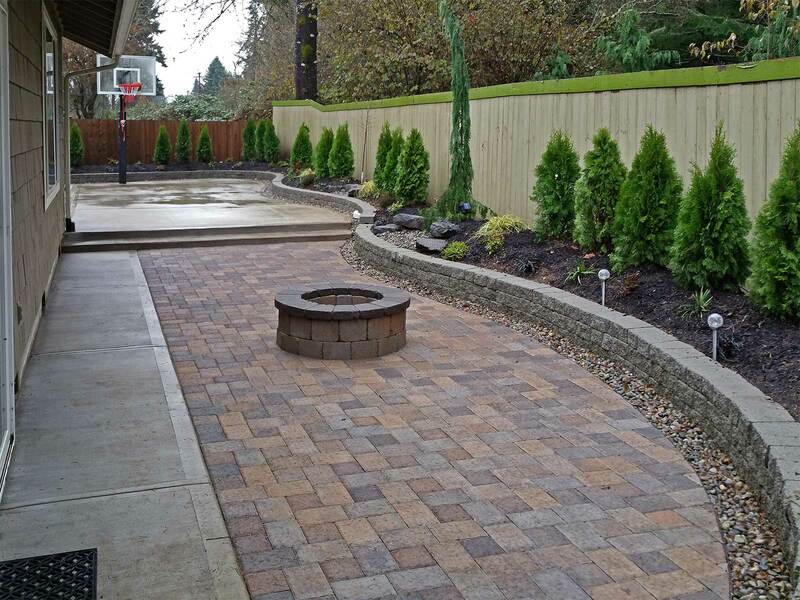 This Boston Blend paver patio and matching retaining wall transformed this backyard and provide proper drainage. Point to the picture with your mouse to see how it looked before. 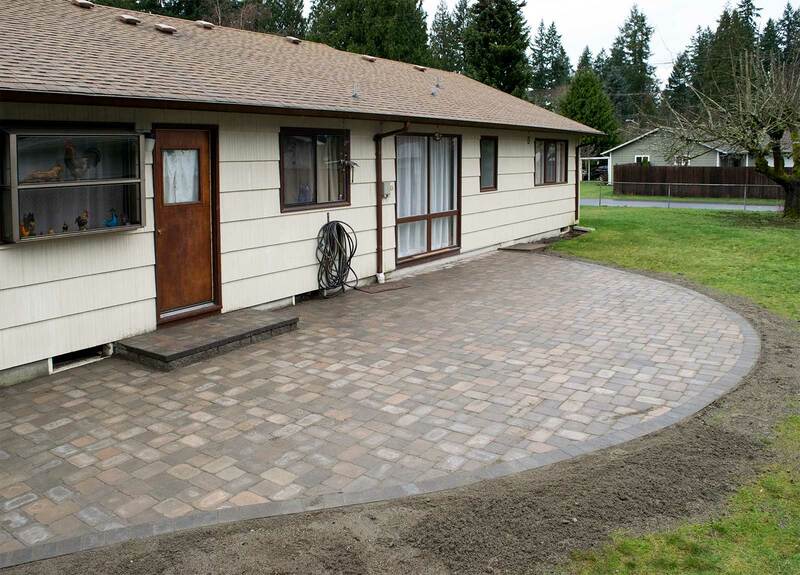 Tumwater Paver Transformation. 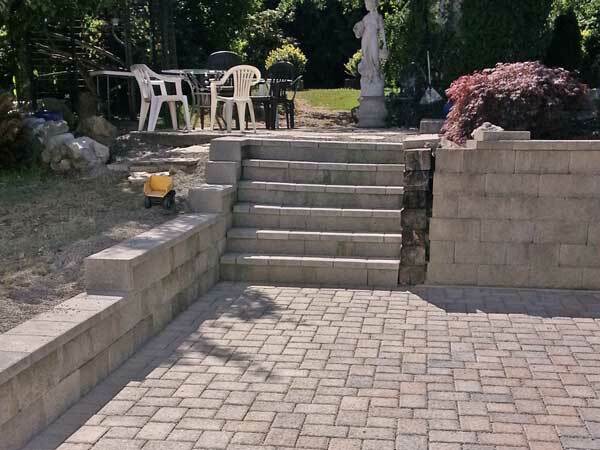 We replaced a concrete slab and adjoining sidewalk with roca-style pavers. Point to the image with your mouse to see the "before" picture.